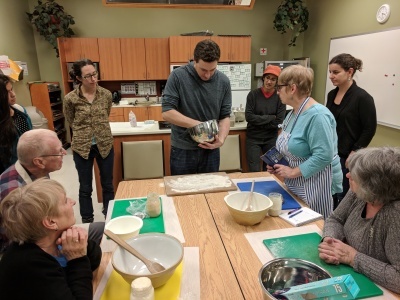 The Western Environment Centre organizes multiple events per year on public policy related issues, as well as our regular food skills workshop series. Please check out upcoming events below! On Saturday, April 13th at 4pm the Western Environment Centre is delighted to host Anne Marceau and Michael Burzynski who will give a presentation called Waking Up Your Garden. It takes place in the lecture theatre (1008) at the College of the North Atlantic in Corner Brook. Anne Marceau and Michael Burzynski, who have gardened in Rocky Harbour for 30 years, will present a photograph-illustrated talk with tips about how to prepare your garden for planting in spring, and how to protect, enrich, and increase your garden’s most valuable asset—the soil. The presentation is free for all, but donations are encouraged! Learn all about how to save time and money by preventing food waste! Join us on Sunday, April 7th at 3:00 pm at Pasadena Place in Pasadena. 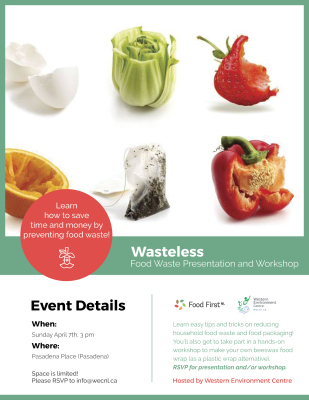 We are partnering with Food First NL for a presentation and workshop on preventing food waste. Learn easy tips and tricks on reducing household food waste and food packaging! You'll also get to take part in a hands-on workshop making your own beeswax food wrap (as a plastic wrap alternative). Space is limited! Please RSVP to info@wecnl.ca. Participants may RSVP for the presentation or workshop or both. The Western Environment Centre is hosting the fourth and final Green Drinks of our 4 part series. The event happens on Wednesday, April 3rd at 8:00pm at Bootleg Brewery, 92 West Street. Our community speaker is Joanie Cranston of the Bonne Bay Cottage Hospital Heritage Corporation and our academic speaker is Dr. Kelly Vodden, Professor at the Environmental Policy Institute, Grenfell Campus. They will each answer the question in 10 minutes, and then we'll have 10 minutes for questions. We'll mingle and chat afterwards. All are welcome! Light refreshments provided by Scratch Made Gourmet. Our third Green Drinks event happens on Wednesday, February 27th at 8:00pm at Bootleg Brewery, 92 West Street. This second event asks the question "How Can NL Become a Low Carbon Economy?" 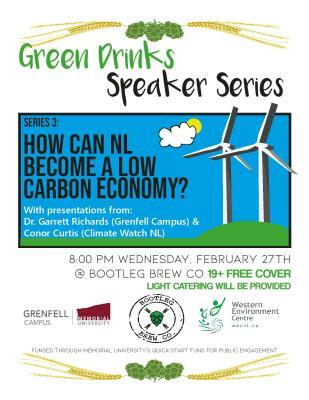 Our community speaker is Conor Curtis of Climate Watch NL and our academic speaker is Dr. Garrett Richards, Professor at the Environmental Policy Institute, Grenfell Campus. We are hosting a food skills workshop on growing your own microgreens and sprouts! This workshop will give you all the basics on how to grow healthy and delicious greens, providing a great nutritious addition to salads, sandwiches, and more throughout the entire year. Join us and our sprouting master, Kris Watton, on Saturday, February 23rd at 7:00 pm at Sobey's Community Room, Valley Mall. The cost is free for all, but donations are welcome! For more info, or to RSVP please contact info@wecnl.ca. Space is limited! Our recent kombucha workshop was completely full, so we are hosting a second one to give you another chance! If you missed the last one, make sure to RSVP now to info@wecnl.ca to secure your spot. 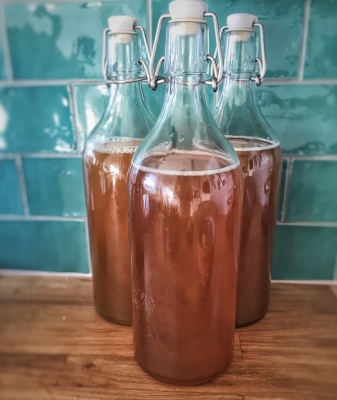 Have you always wanted to make your own kombucha? Now's your chance. Learn how to make delicious, nutritious fermented tea in your own kitchen. We'll show you how simple it is! RSVP required to info@wecnl.ca. Cost is free for WEC members or $5 for non members. If you'd like to become a member or renew your membership for 2019, please bring $10 to the workshop, or email transfer to info@wecnl.ca. Workshop happens Saturday, February 2nd at 2:30 pm at Madison's in Marble Inn Resort, Steady Brook. Participants are asked to bring a 1L jar with 2 cups of brewed black tea. Our second Green Drinks Speaker event happens on Wednesday, January 16th at 8:00pm at Bootleg Brewery, 92 West Street. 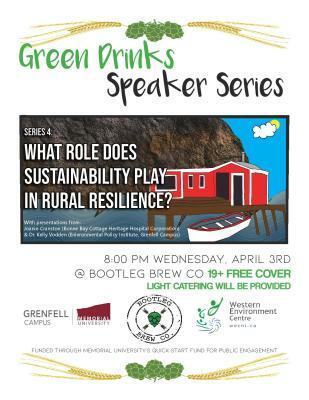 A partnership between the Western Environment Centre and Grenfell Campus, the Green Drinks Speaker Series pairs an academic and a community speaker on critical environmental issues. The events are intended to be in a casual atmosphere, where short presentations can inspire questions and discussion. After the speakers, the audience can mingle, chat and enjoy a few drinks and light refreshments catered by Scratch Made Gourmet. This second event asks the question "How Can NL Achieve a Sustainable Food System?" 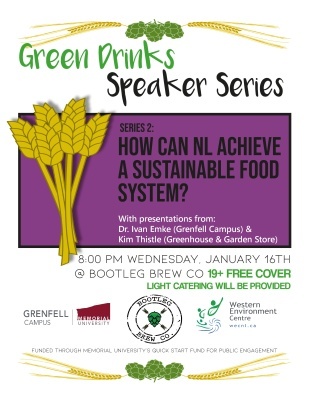 Our two speakers will be Dr. Ivan Emke of Grenfell Campus and Kim Thistle of The Greenhouse & Garden Store. All are welcome to come listen to the short presentations, and take part in the discussion afterwards. Where: Bootleg Brewing Company, 92 West St.
Our inaugural Green Drinks Speaker event happens on Wednesday, November 14th at 8:00pm at Bootleg Brewery, 92 West Street. The events are intended to be in a casual atmosphere, where short presentations can inspire questions and discussion. After the speakers, the audience can mingle, chat and enjoy a few drinks and light refreshments. This first event asks the question "Can Aquaculture be a Sustainable Part of the NL Fisheries?" 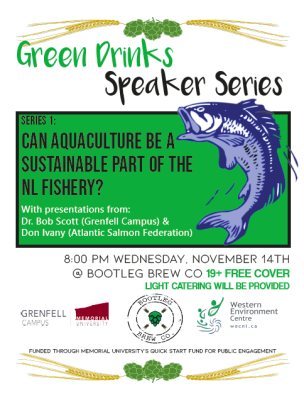 Our two speakers will be Dr. Robert Scott of Grenfell Campus and Don Ivany, Atlantic Salmon Federation. Where: Humber United Church Basement, 88 Clarence St.
RSVP to info@wecnl.ca. Entry is free but donations encouraged! Participants may attend either or both workshops. Our sourdough workshops will cover the basics of maintaining a starter and baking a great loaf, but will also touch on other types of baking you can do with your sourdough. 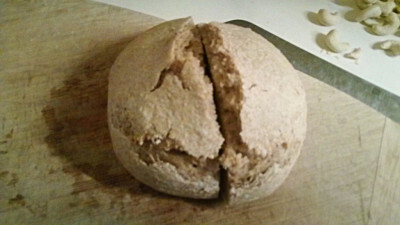 We'll also do troubleshooting with anyone who is currently working with sourdough, and needs a few questions answered. 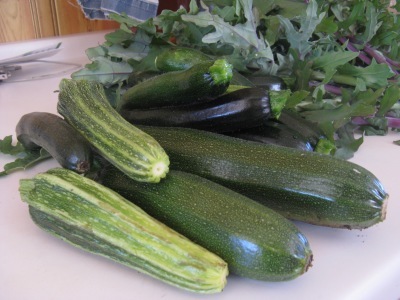 On Sunday, October 14th at 10:00 am, the Western Environment Centre is hosting a no-till gardening workshop. No-till gardening is an environmentally responsible gardening method that builds a healthy soil ecosystem that contributes to higher yields and less work for the gardener in the long term. 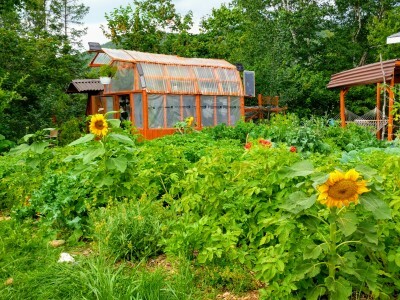 Join WEC and experienced gardener, Hans-Steffen Lindner, for this hands-on workshop to learn the many benefits of this method and how to develop a no-till garden in your own backyard! Space is very limited! Participants must RSVP in advance to info@wecnl.ca. Participants will be given workshop location once they are registered. Workshop fee is $5 or free for Western Environment Centre members ($10/year). We are hosting a hands-on workshop on Seed Saving on Saturday, September 22nd from 3:00 - 4:30 pm at the Corner Brook Library. All are welcome! RSVP to info@wecnl.ca. Participants are also welcome to bring their own saved seed. 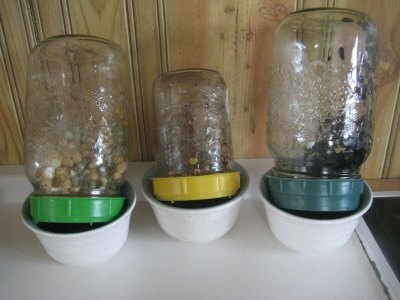 Seed saving is one of the most powerful skills a farmer/gardener can practice! 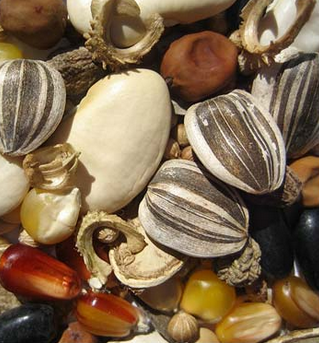 Discover how you can plan, breed, harvest, clean and store your own seed for the future. Workshop is free but donations are encouraged! 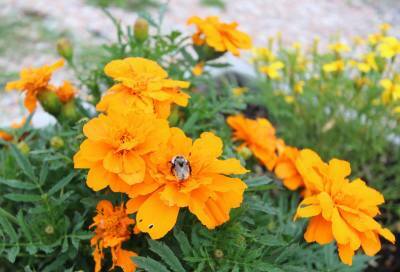 We will also have bee-friendly seed packs for sale for $3.00. On Tuesday, July 24th at 6:00 pm at Pasadena Place the Western Environment Centre is hosting a presentation by Eric Leonard, Western Rep for the NL Beekeeping Association. The presentation is called Basic Beekeeping for Beginners, and will cover how to care for bees, equipment needed, where to purchase bees and equipment, and how you can get experienced advice on keeping bees. Our beekeeping presentation was such a hit (close to 60 people! 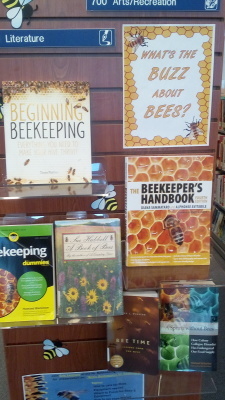 ), that we are hosting a Beekeeping Q&A on Tuesday, June 26th from 6:00 - 7:30 pm on the Main Floor of the Corner Brook Public Library. The session will again be led by Eric Leonard, Western Rep for the NL Beekeeping Association. This is a DROP-IN event, so feel free to come by at any time to ask a question! This session is free and open to the public. Donations to WEC are encouraged! 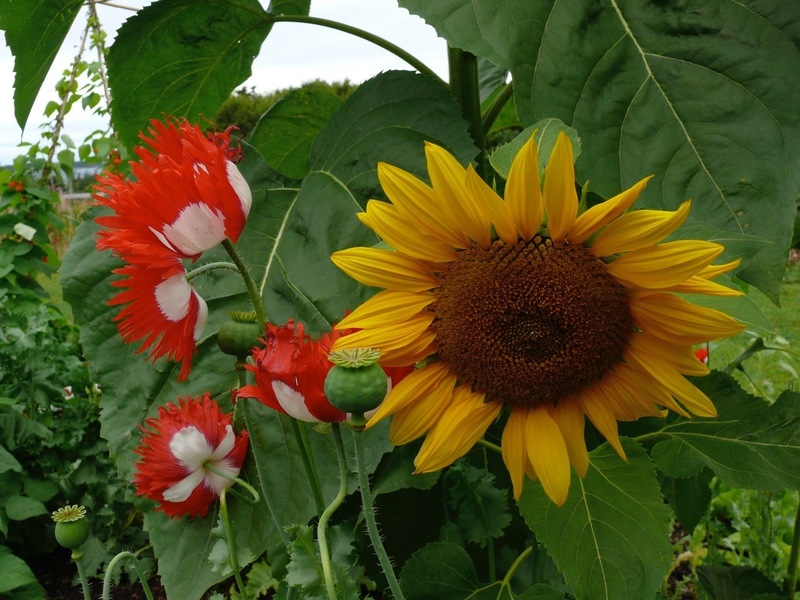 We will have bee-friendly seed packs for sale for $3.00. On Friday, June 8th at 10:00 am, in partnership with the Grenfell Campus Community Garden, the Western Environment Centre is hosting a gardening workshop. It will take place in the Forest Centre, Grenfell Campus in Room FC 2014. 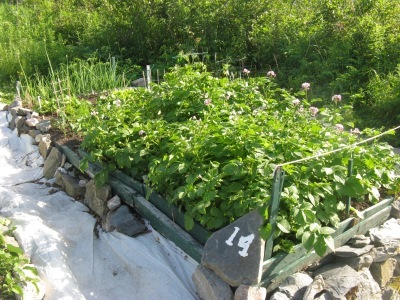 The workshop will focus on How to Get Started in the Garden, and is intended for beginner/intermediate level gardeners. Please RSVP to info@wecnl.ca. The cost is free with donations to WEC encouraged. On Tuesday, June 5th at 6:30 pm at the Corner Brook Public Library we are hosting a presentation by Eric Leonard, Western Rep for the NL Beekeeping Association. The presentation is called Basic Beekeeping for Beginners, and will cover how to care for bees, equipment need, where to purchase bees and equipment, and how you can get experienced advice on keeping bees. The cost is free but donations to WEC are encouraged! Please RSVP to info@wecnl.ca. Free tea/coffee available courtesy of the library. 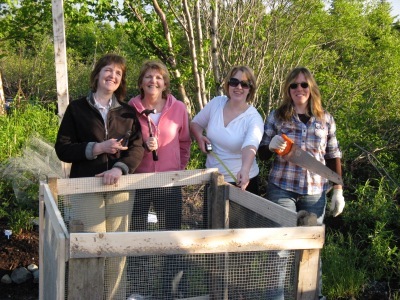 The Western Environment Centre is hosting a no-till gardening workshop on Saturday, May 5th at 10 am at The Greenhouse & Garden Store in Little Rapids (28 Strawberry Loop, Exit 10 from TCH). 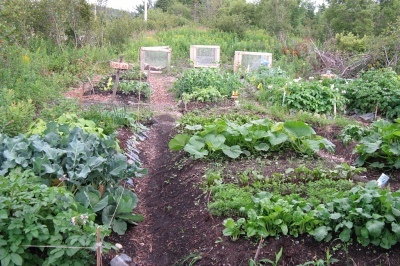 This hands-on workshop will provide information about the benefits of no-till gardening, and include participants in creating a demonstration no-till garden plot. No-till gardening has numerous benefits for the ecosystem including natural soil development, encouragement of beneficial organisms, prevention of soil erosion, and water conservation. This method can also create less work for the gardener in the long term, and an increase in yield. To find out more, RSVP to info@wecnl.ca. The workshop is $5 or free for Western Environment Centre members. Please bring gardening gloves, and a garden shovel if you can! Each summer, our animal neighbours enjoy our gardens and produce as much as we do. 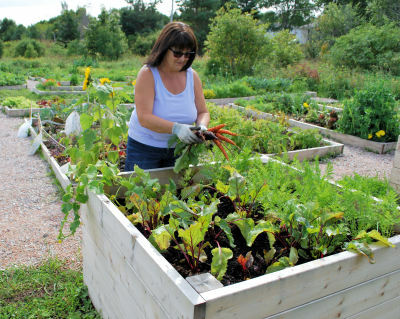 Anne Marceau and Michael Burzynski, long-time gardeners in Rocky Harbour, will use photos and local examples to talk about how to cope with, and live with, garden pests. They will talk about non-chemical techniques to reduce the percentage of your garden consumed by slugs, earwigs, flea-beetles, showshoe hares, moose, squirrels, crows, and other rampant vegetarians. And they hope that you will gain a new appreciation for the resourcefulness of the animals! There will be a question and answer session at the end of the talk. Please RSVP to info@wecnl.ca. The workshop is $5 or free for Western Environment Centre members. Donations are also welcome! Spring is here! We are hosting a 2-part Community Garden Registration and Open House for the Blow Me Down and Heights Community Gardens. It will take place at the Western Environment Centre office, 50 Main Street, 2nd Floor (Commerce Court Bldg). 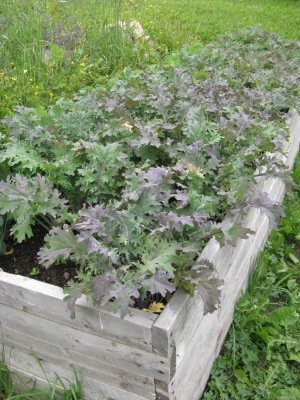 If you would like to sign up for your plot again at the Blow Me Down or Heights Community Gardens, please drop in to sign your garden lease and pay your fees ($30). Please email info@wecnl.ca if you can't make either of these dates. This is also open to anyone from the general public who is interested in possibly renting a plot this year. Feel free to drop in if you want to find out more! 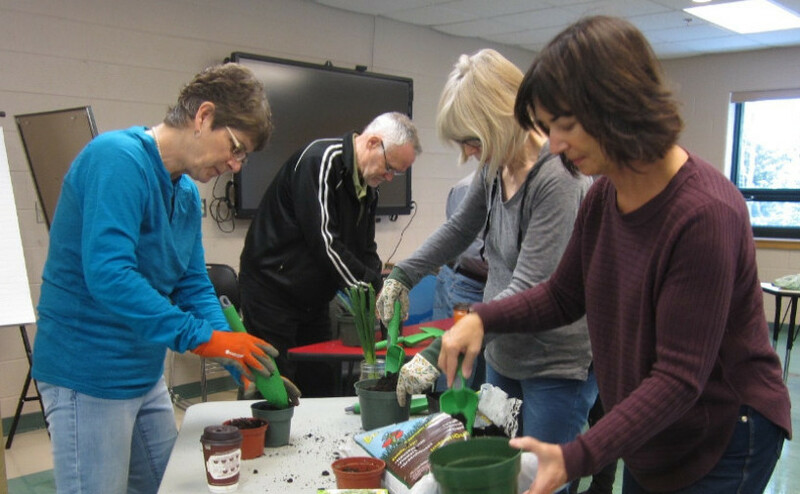 As part of Sustainability Week at Grenfell Campus, the Western Environment Centre is hosting a Gardening Basics for Beginners Workshop on the First Day of Spring: Tuesday, March 20th at 10 am. It will take place in Forest Centre, FC 3019. All materials will be provided, so be ready to get your hands dirty! Bring gardening gloves if desired. Please RSVP to info@wecnl.ca. Cost is free but donations encouraged! Both workshops will be held at the Humber United Church Hall, 88 Clarence Street, Corner Brook. Our second series of sourdough workshops will again cover the basics of maintaining a starter and baking a great loaf, but will also touch on other types of baking you can do with your sourdough. From workshop facilitators, gardeners, fruit pickers, volunteers to donors, members and project partners, we would not be able to operate without all the amazing community support. To say thanks, we're hosting a thank you party with food, drinks & fun! Drop by the Rotary Arts Centre on Sat., Feb. 17th from 6 - 9 pm. Catering by Black Salt NL. Please RSVP to info@wecnl.ca. All are welcome! We are hosting a two-part food skills workshop on baking your own sourdough bread from scratch. On Tuesday, Nov. 28th at 6:30 pm is Workshop 1. Workshop 1 covers: 1) What is natural yeast? 2) What benefits does it have? 3) How to keep the culture alive. Join us and our sourdough expert, Hans-Steffen Lindner, for one or both workshops. All participants in Workshop 1 are asked to bring a 2 cup or larger glass jar with a lid. Participants in this workshop will each go home with their own starter to try, and then can bring it along if they also attend Workshop 2. The cost is free but donations are encouraged to the Western Environment Centre. For more info, or to RSVP please contact info@wecnl.ca. Space is limited! We are hosting a food skills workshop on growing your own microgreens and sprouts, in the comfort of your own home! 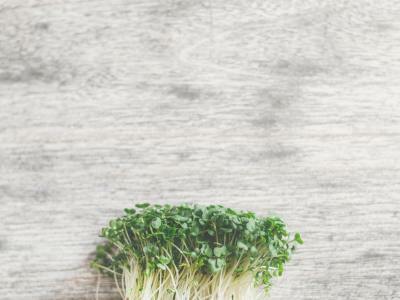 This workshop will give you all the basics on how to grow healthy and delicious greens, providing a great nutritious addition to salads, sandwiches, and more throughout the entire year. Join us and our sprouting master, Kris Watton, on Saturday, October 21st at 10:30 at the Wonderful Fine Market, Royal Canadian Legion. The cost is $5 or free for Western Environment Centre members. For more info, or to RSVP please contact info@wecnl.ca. Space is limited! Please join us for a community dialogue at 12 noon on Wednesday, Sept. 27th at Grenfell room FA 224, to share your vision for Canada’s energy future. The ideas generated from this event will contribute to Generation Energy – a collaborative dialogue on Canada’s path to an affordable, lower-carbon future hosted by Natural Resources Minister Jim Carr and the Department of Natural Resources. This event is an opportunity for you to shape Canada’s energy future. In sharing your vision, ideas and thoughts, you ensure that future energy decisions will reflect your core values and perspectives. Learn more about the process at www.generationenergy.ca. The community dialogue will last about an hour. The Western Environment Centre together with ClimateWatchNL will be the hosts of this community dialogue. 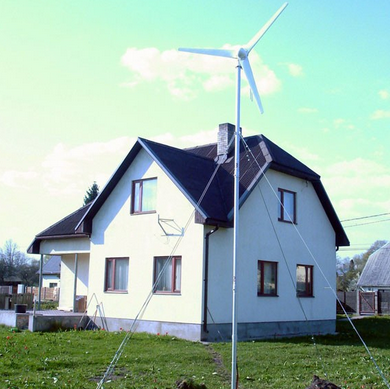 You will receive an overview of what Generation Energy is all about, we will brainstorm ideas about our energy future and submit ideas right there and then. 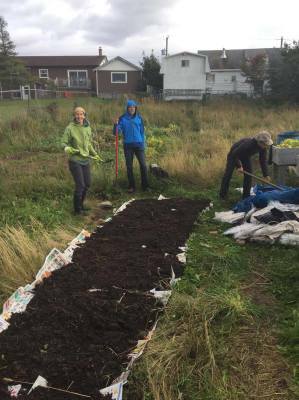 The Western Environment Centre is hosting a public hands-on workshop on no-till gardening on Saturday, September 23rd at 3 pm at the Heights Community Garden (off lower Batstone's Road). No-Till Gardening is an ecologically-responsible gardening method that supports a healthy soil ecosystem. In the long run, a no-till garden can be less work for the gardener, often requiring less weeding, less pest control and a great yield. Registration is required! Admission is $5 or free for Western Environment Centre members. For more info or to register, email info@wecnl.ca. Space is limited!